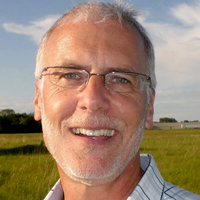 David Zinger is a global expert on employee engagement and a sought-after educator, coach, author and consultant on the topic. His experience includes 20 years as an instructor at the University of Manitoba and 15 years as the employee assistance counselor at Seagram, Ltd., where he was instrumental in fostering personal and career engagement for the organization. Mr. Zinger is the author of "Zengage: How to Get More Into Your Work to Get More Out of Your Work" and "Assorted Zingers: Poems and Cartoons to Take a Bite Out of Work." He also is the founder and host of the 4200-member 'Employee Engagement Network,' a community that has produced seven free co-created e-books on engagement, hundreds of forums and more than 2000 blog posts. Most recently, Mr. Zinger has been working with a beekeeper and an artist on making connections between engagement, honeybees, work, recognition and community. He believes we must learn to think differently inside the hive of our organizations. He has a Master's of Education degree specializing in Counseling Psychology.